This year’s INI International Noh Institute – Keiunkai Taikai, in celebration of 50 years of stage life of Master Actor Udaka Michishige, has come to a close. It is difficult to draw all the impressions on such a special event in one single post. There are so many aspects and viewpoints it would be necessary to include and, in the attempt to include everything (and everyone) I would end up not doing justice to all of them. I will maintain the very personal take that has been the line of this blog so far. Taking part of a full Noh is a privilege that only a very few foreigners had in the century-old Noh tradition. 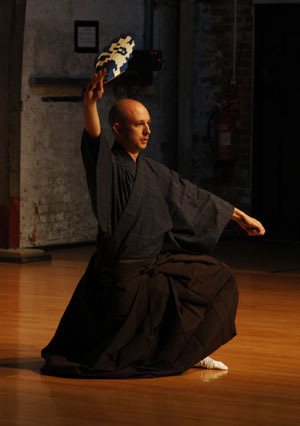 Infinite gratefulness and deep respect go to those who are teaching me this way: Master-Actor Udaka Michishige, Shihan Rebecca Ogamo-Teele and Monique Arnaud, whose relentless efforts to transmit Noh theatre to foreigners is, I believe, the greatest, unconditional expression of love for the art of Noh. This year’s INI – International Noh Institute Gala Recital celebrates 50 years of stage life of its founder, Master-Actor Udaka Michishige (Kongo School). The program will also include a variety of chant and dance excerpts. Foreign and Japanese students of Udaka Michishige will perform on stage. Information material will be available in English and Japanese. 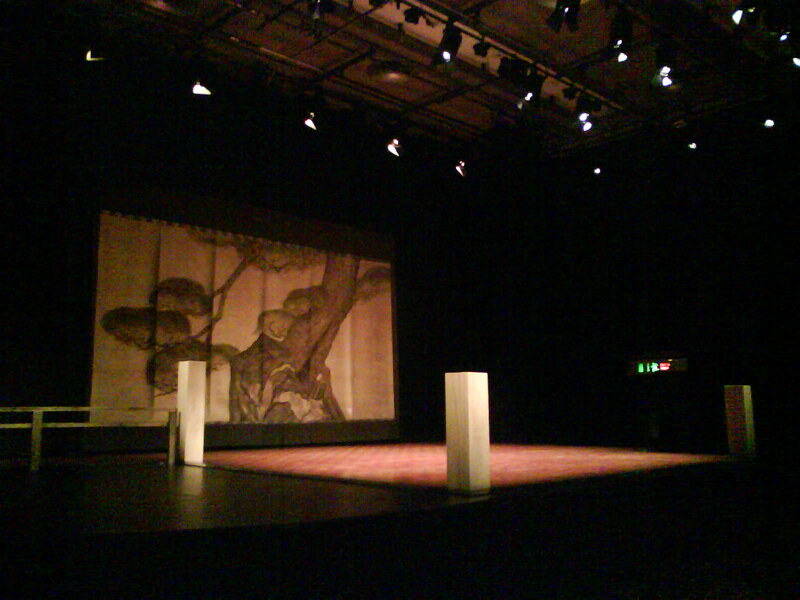 Place: Kongo Noh Theatre, Kyoto. Subway Karasuma line: get off at Karasuma-Imadegawa (K06), South Exit 6, walk South 300m and find the theatre on the right. Time: 12 June 2010 (Sat) 1:00pm – 5:30pm. Fee: Free of charge. The audience is free to come and go quietly. A reception will follow from 6:30pm (fee: 1000 yen). Come share your impressions on Noh theatre and to talk to the teacher and the performers! Meet us at ‘Tenshokan’（天正館）2nd Fl., Mukadeya-cho 380, Shinmachidori Nishiki-koji-agaru Subway Karasuma-Shijo, Exit 24, walk West, then North at Shijo-Shinmachi (about 5 minutes). Click here for a directions from the Kongo Theatre to Tenshokan. This is a demonstrative clip of Dr. Lee Stother’s The Fisherman’s Daughter, a Noh-inspired film/performance I had the chance to take part in during my first stay in Japan in Spring 2007. As a member of the International Noh Institute (Kongoh School), Lee has studied with Udaka Michishige and Ogamo Rebecca Teele in a number of different occasions, and the study and practice of Noh has greatly influenced her work as playwright/videomaker. Her The Fisherman’s Daughter is beautifully documented in the clip below. I didn’t dare taking pictures during the performance, however here is how the stage looked like before it began. One of the most interesting aspects of the performance was the hanging scroll-like matsubame, painted by Nihonga artist Allan West.